The Regency Outdoor Gas Fireplace collection offers a sleek, artistic styling to complement todays modern outdoor living spaces. Designed to amaze, built to last, the Regency outdoor fireplace collection is guaranteed to leave a lasting impression! 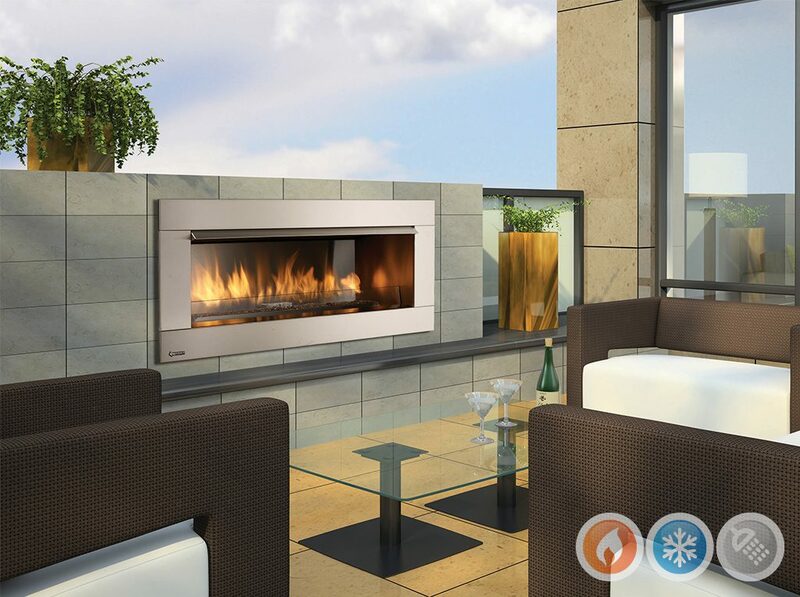 The success of the Regency Gemfire series can now be extended to outdoor living areas. This fireplace delivers beautiful wide angle flames amplified by a reflective stainless steel bdy with the choice of reflective crystals, volcanic stones or a ceramic drift wood log set. Quality, style and durable outdoor function make this fireplace a perfect outdoor option.